Previous studies have resulted in a lack of consensus regarding high-risk surgical procedures in older adults. In a recent study using claims data and a modified Delphi procedure, the authors of this toolkit created an inclusive, precise definition of high-risk surgeries that can be used by clinicians, researchers, hospitals, and patients to support the creation of targeted interventions, quality and outcomes research, and informed decision-making. This toolkit contains an Excel file that you can download and then import into your statistical program. The file contains a list of 227 surgical procedures, which are identified by International Classification of Disease, Ninth Revision, Clinical Modification (ICD-9-CM) procedure codes and mapped to modified Healthcare Cost and Utilization Project (HCUP) Clinical Classifications Software (CCS) groups. This toolkit is intended for researchers who are interested in conducting quality and outcomes research studies that incorporate the list of high-risk surgeries for older patients. It can also be used by clinicians, researchers, and health care administrators who are interested in designing targeted clinical interventions for high-risk surgical procedures. The List of High Risk Operations for Patients Over Age 65 was developed by researchers and clinicians (Principal Investigator: Margaret Schwarze) at the University of Wisconsin-Madison School of Medicine & Public Health – Department of Surgery. This project was supported by University of Wisconsin Institute for Clinical and Translational Research (UW ICTR), grant 9 U54 TR000021 from the National Center for Advancing Translational Sciences (previously grant 1 UL1 RR025011 from the National Center for Research Resources), the University of Wisconsin School of Medicine and Public Health’s Health Innovation Program (HIP), and the Wisconsin Partnership Program. Dr. Schwarze is supported by the Greenwall Faculty Scholars Program, and Dr. Barnato is supported by grant R01 AG035112 from the National Institutes of Health. The content is solely the responsibility of the authors and does not necessarily represent the official views of the National Institutes of Health or other funders. The methodology used to develop this list, along with the associated rates of mortality, confidence intervals, and p-values associated with each operation, is available in the following article: Schwarze ML, et al. “Development of a list of high-risk operations for patients 65 years and older.” JAMA Surg 2015;150(4):325-31. If you use these materials, we ask that you please cite the above article as well as this toolkit. We suggest using the following citation for this toolkit: Schwarze ML. The List of High Risk Operations for Patients Over Age 65. University of Wisconsin – Madison Department of Surgery, the UW Institute for Clinical and Translational Research, and the UW Health Innovation Program; 2015. Available at: http://www.hipxchange.org/HighRiskSurgery. Please send questions, comments, and suggestions to HIPxChange@hip.wisc.edu. 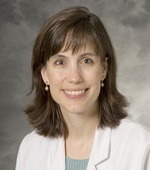 Margaret "Gretchen" Schwarze, MD, MPP is an Associate Professor in the Division Vascular of Surgery at the University of Wisconsin. Her research focuses on improving communication between older patients and their surgeons, so that patients can avoid unwanted treatment and make decisions that align with their values, preferences and goals. She is an alumna of the Greenwall Faculty Scholars program and currently holds a GEMSSTAR (R03 NIA)/Jahnigen Award from the American Geriatrics Society and the Society for Vascular Surgery to test a communication intervention for older, frail surgical patients, a grant from the National Palliative Care Research Center to adapt this tool for older patients with end-stage renal disease, and an award from the Patient-Centered Outcomes Research Institute to test a Surgical Question Prompt List intervention in a randomized controlled trial.